These three questions can be put together into one broad one. What makes a good locksmith? 10 jobs to an excellent standard and the 11th job is completed very badly they are a bad locksmith. In my experience it takes 100 jobs to get a good reputation and 1 bad job to get a bad reputation. So… Consistency. This is one of the first things that make a good locksmith. Always finishing the job to a high standard. Even if it ends up costing you money. Customer satisfaction is key! So back to the three questions. How did you become a locksmith? For me I was educated in the trade by a family member. But others learn on a course. But just like driving a car, you don’t truly learn till you’re out there on your own trying to do the job. The lock out in the dark and rain at 3am springs to mind. There is no one to call for support and you have to crack on and get the job done! So the “how” isn’t as important as you may think. Anybody with common sense can pick up the very basics in a few weeks but it takes a lot of jobs to become a locksmith. I’ve been just locksmithing for about 6 years but been fitting locks for about 8 years. I worked in maintenance before concentrating on locksmithing. But before that I was in the security Industry. This has given me a unique view on the job as a locksmith and has enabled me to advise my customers on the best course of securing their property. The “how long” question could be ask in a different way. “How many jobs have you done”? A locksmith who completes 2 jobs a day and been working for 2 years is no more experienced then the locksmith who does 4 jobs a day and been working for one year. Experience on the job like in any trade takes time but when you have it, you will know it. The sort answer is no. There currently are no government rules about having qualifications to become a locksmith. As I said early, I learned from a family member. There are many associations out there. Some better than others. But if you want to become a locksmith and you were not as fortunate as me to have a family member in the trade, a course is the way ahead. It may also help you as a new locksmith to have that accreditation on your website. But it never did me any harm by not having it. I have met some very good locksmiths and also some bad ones. I would like to consider myself as one of the good ones. 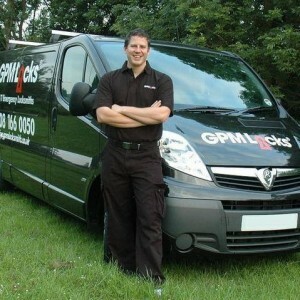 There are many reviews that support that view and I will always continue to learn and improve the service GPM Locks delivers.